Not a week goes by that a new startup or large corporation announces the next big thing in affordable home security. First we had the likes of Nest and Canary, then Blink, and many others followed beyond. Each device for the most part rivals the last, typically around the same $150-ish price point, and in turn adds a little something extra to make it unique. 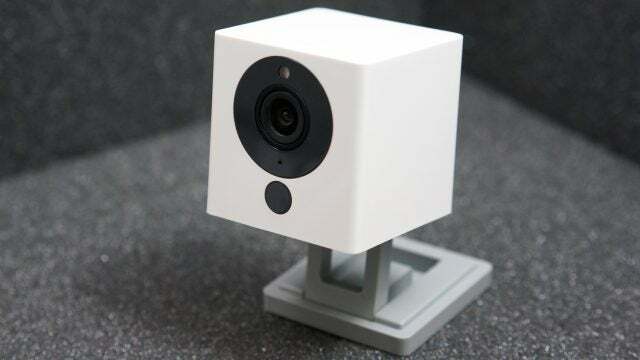 However, WyzeCam just destroyed the industry norm by releasing a brand new wired security camera that only costs $20 (or $30 on Amazon). Not only is the camera only $20, it features everything you’d expect and want from the more expensive solutions, sans an air sensor and maybe a few smart features. In other words it includes free cloud storage, a slot for a micro-SD Card, HD video, real-time streaming, night vision, and motion alerts. After some confusion and unexpected delight, it became evident that the team beyond WyzeCam was onto something. To get things right out in the open, the WyzeCam is a great product. It’s as simple as that. However, it’s worth noting that the hardware was not designed by the company, but is a licensed Xiaomi Mijia XiaoFang. From here, WyzeCam adapted it for use in the U.S. and built their own apps for it. 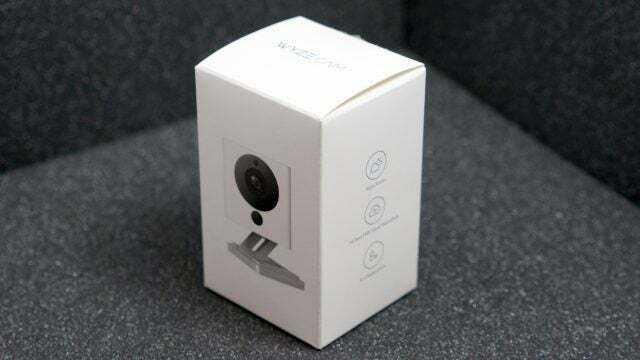 While odd, primarily because the reverse typically happens with Xiaomi products, it certainly allows WyzeCam to enter the American market with a price point that utterly destroys the competition. The XiaoFang only works in China, too, so you would need a different app anyways. However, WyzeCam is also not the first company to attempt this. Another company called iSmartAlarm also has licensed the same design, built their own software around it, and includes a few extra features due to that software. Their camera, Spot, also costs around $85 though. This in turn still leaves WyzeCam open to undercut the Dot, while primarily offering the same solution. In a comment left on Product Hunt, WyzeCam’s Vice President, Dongsheng Song clarified what the company did to produce the camera. 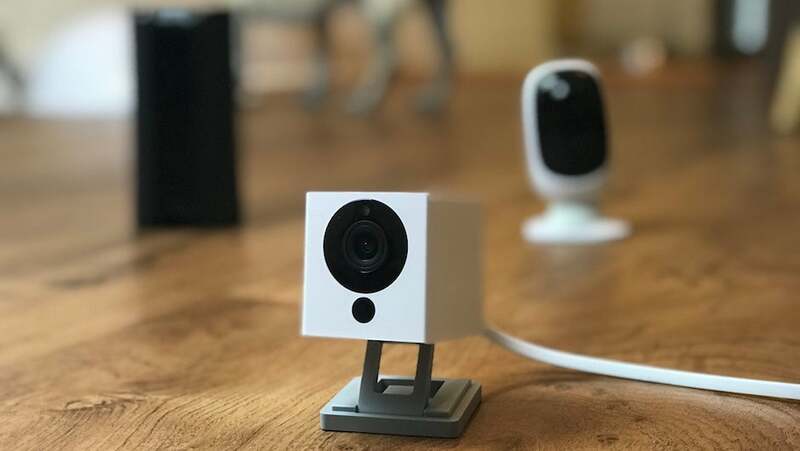 Much like XiaoFang and other DIY home security cameras, the WyzeCam is incredibly simple to setup. After plugging it in and downloading the app, there is a voice guided walkthrough that comes out of the camera’s speaker, and goes along with the step-by-step guide in the app. For the most part all you need to do is scan a barcode on the app using the WyzeCam, ensure it’s connected to wifi, and you’re good to go. For placement, the WyzeCam is light enough that you can use double sided tape, use the included magnetic base place on a metal surface, or simply placed it on a flat surface. During the test period I put the WyzeCam on top of my front door light (under a covering) and on a window sill. In total it took 10 minutes to get both cameras up and running. It took another couple of minutes to get the settings where I wanted, which included motion sensitivity, motion alerts, and if you want night vision to kick in automatically. You can also install a Micro-SD card into the camera if you want continuous recording. Once connected, the WyzeCam is incredibly easy to adjust to the environment you want to place it in. Rated for indoor use only, it’s a simple, wired security monitor that connects to your Wi-Fi and is controlled through a mobile app. It’s as simple as that. You get 1080p HD video, there is minimal lag between the camera capture and live stream on the app, it includes decent night vision (especially for indoor use), easily captures a full room, and includes two-way communication so you can yell at your dog for peeing on your couch again (thanks Gizmo). However, this being $20, I had no shame in testing how it would hold up outside, just like we did with the original Blink cameras. After two weeks under a covered entryway, I quickly realized that the sensitivity options and one lacking smart feature would make this current system a nightmare for outdoor use (besides getting physically ruined). Regardless of the sensitivity setting, something as minimal as a leaf moving in the wind would trigger a motion alert and a recording. When tested indoors, a rapid change in lighting (clouds for instance) would also trigger the motion sensor. To be fair this is a common occurrence in standard security monitors, and why smart motion tracking helps to cut out the clutter. Take for example the Canary, it’s quite a bit more expensive, but the camera knows the difference between a person that should be in the house and a guest… or maybe someone breaking in. These smart features also filter out junk motion triggers, which makes reviewing content a great deal easier. But is that worth an extra $140 or so? Not for most. Minus the bells and whistles, and if the camera is used as intended, it works great. You set it up on your entry way or a room with accessible windows, set the time you want the motion triggers to be active, and off you go. From there the camera will automatically adjust for daytime or night vision mode, and it will let you know when a motion trigger is activated. After using the camera indoors for about two weeks, plain and simple the WyzeCam works wonderfully. I primarily used it to keep an eye on my mischievous dogs, and set another camera up overlooking my front door in case of a potential package thief comes by again (happened earlier in the year). While I didn’t capture anything exciting, the LED light on the front and back of the camera, as well as the obvious presence of it being there may just be enough to thwart off would be thieves. Obviously this being a Wi-Fi and wired camera opens it up to some basic flaws. For starters, if the Wi-Fi is out, you’re not going to be getting any motion alerts. More importantly, if your camera loses power, you’re totally SOL since there is no battery backup. However, for $20 this offers an incredibly cheap solution to monitor every inch of your home with multiple pieces of hardware while not breaking the bank. Just as the hardware is simple, so is the app. I’m confident that your less tech savvy family members could easily get this setup, perhaps not as quickly as you, but with little stress or effort. To control and access the video captured by the camera you’ll need to do everything through the WyzeCam app. From there you’ll be able to see 12 second video clips when the motion trigger is set off, which you get two weeks of free cloud storage on an AWS server. You can also scroll through the continuous recording if you put a Micro-SD card in it. The playback area and notifications also make it easy to filter down to a specific camera, so you don’t have to just look through a mess of chronological captures between all devices. 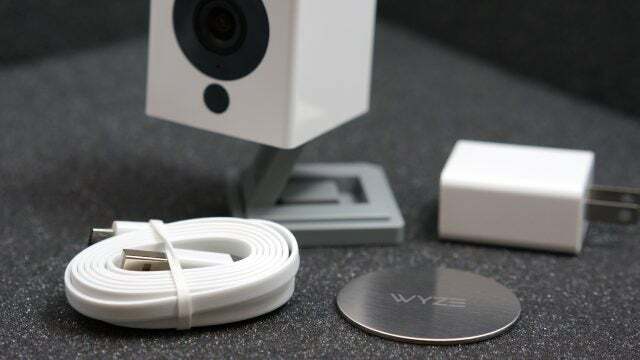 Overall the WyzeCam does exactly what it is designed to do, monitor your home, office, pets, family, or whatever. While it would be nice to have a couple of smart filters to cut down on the motion alerts, it’s certainly not a deal breaker. The design for the WyzeCam is tried and true, especially between Xiaomi’s Mi camera and other’s licensing it. It’s both lightweight, easy to position, and even includes a relatively long USB cord. The base component that allows you to tweak its positioning feels a bit cheap or fragile, but ultimately during the testing period I ran into zero issues with it. I also happened to drop it off a window sill on the floor at one point and it had no issues, so there is that, too. Should you buy the WyzeCam? If you are looking to cheaply monitor your things and have decent Wi-Fi range, absolutely. The camera is $20, which is an insanely small investment in your own security. While it would be nice if it had some integrations with IFTTT, Alexa, or Google Home, it’s certainly not a deal breaker since the app works well. Based on the pricing, features, and usability we are giving the WyzeCam a 4.5 out of 5. It’s pretty badass.